If you head out to the nearest Lancia (the "ci" is pronouned like "sh" in ship with a silent "i", so the name sounds like lan-sha) dealer looking for a new car wearing the lance and shield logo, you'll find that it is quite a long trip (Lancia withdrew completely from the US market in 1982) and the cars in the showroom are miserable rebadged Chrysler group rejects. It wasn't always like this, and there was a time when you could buy a oddly complex Italian built machine like the Fulvia. 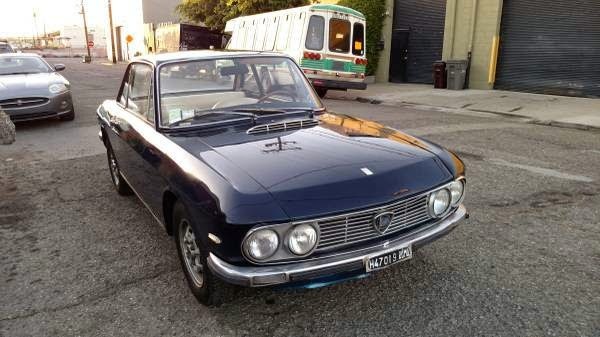 Find this 1971 Lancia Fulvia 1.3S offered for $25,000 in Alameda, CA via craigslist. Tip from Kaibeezy. The Fulvia was named after Fulvia Flacca Bambula, a particularly power hungry wife of several famous Roman politicians, including Marc Antony -- a Late Roman Republic era equivalent of Hillary Clinton. The Fulvia sheet metal design is attributed to Piero Castagnero and looks just as good in person as it does in photos. On the inside you will find all the typical delicate switchgear you'd find on anything Italian from the 60s/70s, and it appears the interior has been recently redone. 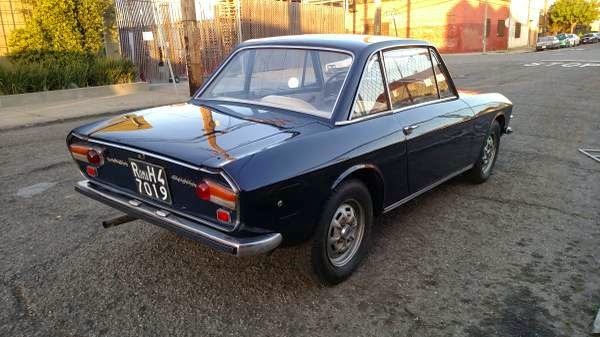 Described as an original car that was maintained to run, this looks like a good Fulvia for driving instead of sitting in your garage. Gorgeous. And I'm not referring to Kaibeezy. As comfortable as those thrones appear, their Puffinstuff dimensions look out of place in that delicate vehicle, to my eyes. It's pronounced Lan-chah, not Lan-shah. It works either way, as long as you have Sean Connery pronouncing it , its fine.. This beauty has been on the market for a long time. I think it's the price. 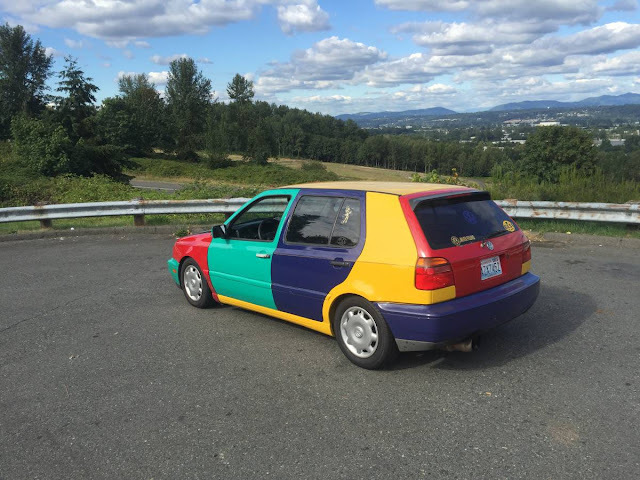 Though rare, it's probably a $20K car at best. When you think about it in comparison to a BMW 2002 from the same year, that's a lot of dough. Yes it's more unique and arguably better looking, but it's going to be down on power and inherently less reliable. What it does have is that Italian flair, some rally racing heritage, and acceptance at the Concorso Italiano. If I had to choose, I'd still take it over the BMW, but not at $25K. It's an interesting car, but it's not that far up my first page of interesting for that era, and $25K will buy you a lot of 1971 interesting. I'd be happy to see someone don the mantle of Luncha preservation, and I'm sure there's someone out there who thinks this is more interesting than a Giulia, a Cortina, a 2002, a 510, a Mk1 Capri, a Truimph Dolomite Sprint, hell, a Saab 95 or 99EMS. But that someone isn't me. Give me five minutes and I could think of ten more pre-bumper small-to-smallish sedans or wagons...as a driver I'd probably prefer an 1835cc Beetle. 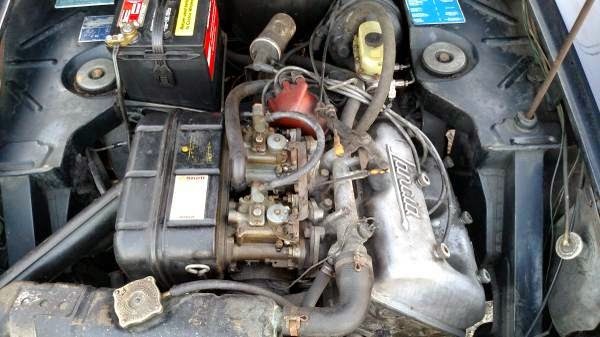 I agree with the group that I would desire before I'd take a serious look at Lancia ownership. Except maybe the Dolomite. I'd be your man had I the scratch and a place too keep all the fulvias. I have to agree on the over stuffed thrones... they look like they are overtaking the interior.